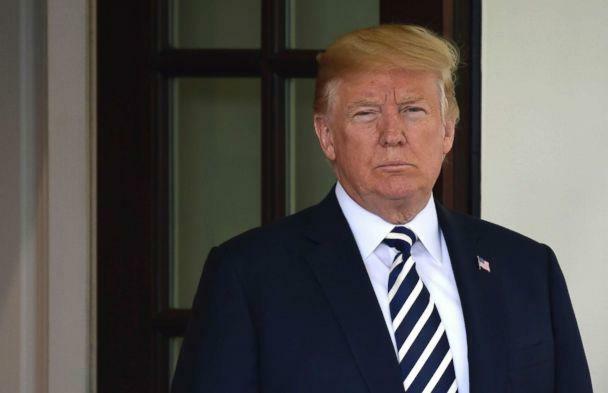 The White House flag is no longer flying at half-staff in honor of the late Sen. John McCain, while President Donald Trump appeared to ignore questions about the Arizona senator in the Oval Office Monday morning. When ABC News chief White House correspondent Jonathan Karl asked the president for "any thoughts on the legacy of John McCain," Trump heard the question but ignored him several times during a Mexico trade announcement in front of reporters, according to Karl. White House officials had returned the U.S. flag to full-staff around midnight, ABC News senior White House correspondent Cecilia Vega told “Good Morning America” host George Stephanopoulos Monday. The White House flag could then be seen for some time flying at full-staff while the banners surrounding the Washington Monument were at half-staff. 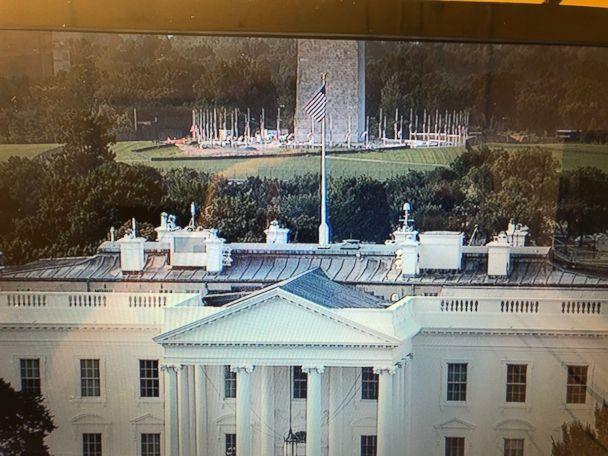 The White House flag-lowering that lasted less than 48 hours breaks from precedent that it is lowered until burial. The federal code states that the flag shall be lowered on the day of death and the following day for a sitting member of Congress. Flying it at half-staff for an extended period of time is at the discretion of the president. Meanwhile, Trump rejected his aides’ recommendation to issue a statement praising the late Arizona senator, The Washington Post reported Sunday. But Trump did release a tweet of condolences. The McCain family had reportedly asked the president not to attend McCain’s funeral even before he died this weekend at age 81. Two former presidents -- Barack Obama and George W. Bush -- will deliver eulogies Saturday. Vice President Mike Pence has also been invited to the funeral.